Electronic document management systems can streamline the ECO process. Automating and digitizing engineering change orders can connect data and provide time savings. Image courtesy of Omnify. Managing engineering change orders (ECOs) has become more important and complex as more products incorporate complex electronics or Internet of Things (IoT) functionality. 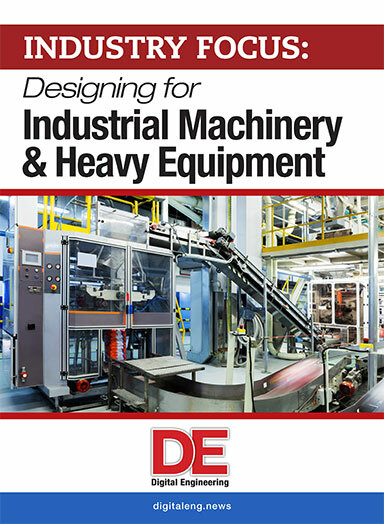 Even industrial goods that previously had a relatively simple bill of materials (BOM) or document sets now face much more complicated quality and compliance issues when it comes to engineering changes. Effectively managing the processing of the ECO, tracking changes and approvals, and updating documents, drawings, and data stores across multiple systems is simply too complex to manage using spreadsheets. In the past, these tasks were spread across multiple systems (i.e., schematics in the CAD solution and parts lists in Microsoft Excel). That led to time-consuming manual processes and errors. 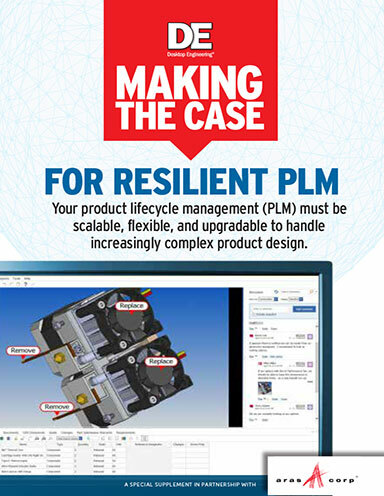 There are a number of different types of solutions that can help manage and automate these processes: product lifecycle management (PLM), document management, electronic content management, product data management (PDM), E-CAE, etc. They all trade in information management, and can help get a handle on files and unstructured content. M-Files’ enterprise information management system gives greater transparency to any changes throughout the workflow. Image courtesy of M-Files. These solutions use central databases to coordinate the documents and files associated with a project — as well as all of the data. That’s important because not all of the information related to a specific project is necessarily housed in a document, per se. ECOs allow organizations to adjust or debug designs while providing an audit trail of when those changes are made. They typically include technical information about the changes (parts, components, drawings, etc.) as well as explanations, instructions, approvals and lists of departments or staff affected by the change. Change orders can be automatically routed to make processes more efficient, and can be accompanied by automated email notifications. The solutions can also be configured to trigger other processes in other solutions. Change approvals can also be accomplished via electronic signatures. The entire process is also more efficient because there is no longer any paper or printing to manage — change orders can be more quickly created and linked to the necessary files. “This is really about creating a process that people can follow and will consistently follow in an efficient, ongoing way,” Milliken says. 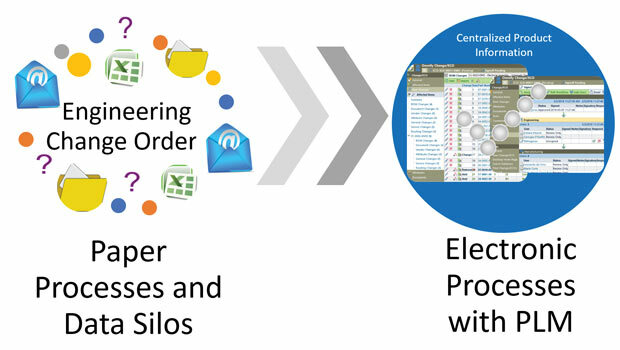 In Synergis Adept, for example, users can set up automated change order processes in the solution. “You also have multi-user markup capabilities, so people can collaborate on these changes as they are routed through the approval process,” Lamond says. In Omnify, as a new element (like a drawing) is added, the system creates a live element that all stakeholders are aware of. As changes are made, a red line environment is automatically established so everyone can see the changes and note the differences between the original and new versions. “The system assigns workflows behind all of these processes, based on each person having their own set of rules and businesses role associated with access,” Cimalore says. Once all approvals have been signed in the system, all of the product records can be updated, including drawings and BOMs. New revisions are reflected in other systems (CAD, Excel documents, etc. ), and instructions can be issued to the ERP (enterprise resource planning) system for manufacturing. The key benefit of applying PLM or document management technology to the ECO process is that the accompanying files (BOMs, drawings, etc.) can evolve right along with the details of the change order in ways that are accessible and visible to all interested parties. Transparency is improved. As engineers collaborate, changes are documented simultaneously across all departments and all related data sources and documents reflect the changes. Any modifications can be compared to previous versions, and the author of the changes (as well as all approvals) can be tracked. This also makes it easier for different engineering disciplines to work together more efficiently. Rather than a sequential process, in which a change order passes from one group to another to evaluate the repercussions of a change, everyone sees the information at the same time and can collaboratively address any potential unintended consequences or problems. These solutions also document why changes were made. “That history of information and interactions are easily discoverable by key members of the team when someone needs to assess a change order or evaluate costs,” Milliken says. In highly regulated industries, the change order process may need to stand up to close scrutiny and auditing for compliance. Notifications can be put in place so that the right people are automatically alerted when documents or projects have passed important milestones, or are in danger of missing important deadlines. These solutions also make it possible to grant role-based access to stakeholders in different companies (customers or suppliers, for example), so that information can be shared or changes approved without requiring the physical shipment of documents or an in-person meeting. Arena provides two different ways to grant access to outside stakeholders. They can log into Arena and be granted object-by-object access based on their user privileges; or they use the Arena Exchange product to provide a snapshot of data. The latter provides a collaboration pane that lets a supplier or customer grant access to multiple people within the organization to collaborate in real time and share files. The technological ability to automate the ECO process is established in a number of tools. Ideally the ECO tool should be linked or integrated with ERP, product data management, PLM and other systems. The solution has to be easy to use for employees. If you require them to leave the tools they’re used to working in so they can initiate document management, you will either create new inefficiencies or users won’t embrace the system. ECOs are critical for implementing design changes. Automating the ECO process using an electronic solution (whether that is a PLM, document management or other type of system) can streamline reviews and approvals, ensure accurate implementation of changes, provide auditable documentation for compliance purposes — and most importantly — ensure a fast time to market for improved designs.